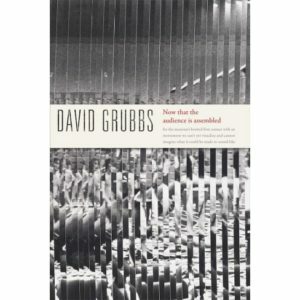 David Grubbs’ new book out on April 13 ! NOW THAT THE AUDIENCE IS ASSEMBLED is the title of DAVID GRUBBS’ new book, that will be published by Duke University Press on April 13. To mark the book publication, BOMB Magazine has just posted a conversation between him and JOHN SPARAGANA, who created the book’s cover artwork as well as several new collages works that are included within the book. You can order the book HERE !